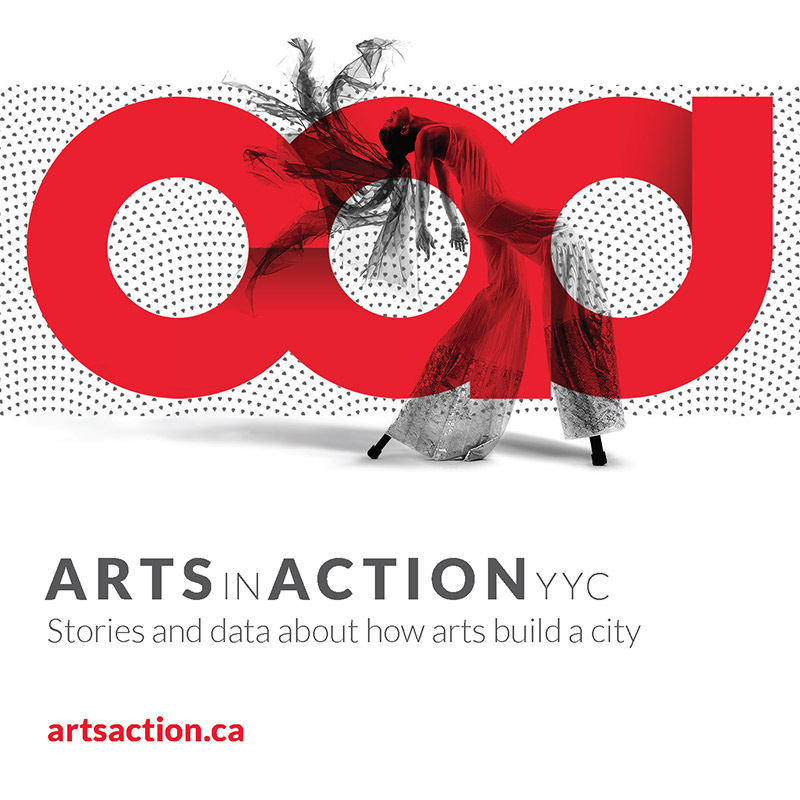 2011 marked the final year of a three-year plan intended to transition Calgary Arts Development from startup and restructure mode to a new trajectory of growth. The plan had three main thrusts: establish an entrepreneurial multi-tenant arts space development initiative, cultivate new resources outside the municipal tax base, and promote the value of the arts to the citizens of Calgary. After two years of hard work, cSPACE Projects was officially incorporated in October, 2011. This milestone was reached thanks to the tireless dedication of Calgary Arts Development’s board and staff and a significant vote of confidence from City Council with three years of startup costs provided in the 2012-2014 budget. Calgarians will experience the benefits of this non-profit real estate enterprise as it carries out a mandate dedicated to developing a network of multi disciplinary creative workspaces across the city. The first multi-tenant arts space development got underway in 2011 thanks to a pioneering partnership with The Calgary Foundation. cSPACE purchased King Edward School from the Calgary Board of Education in December, 2011. Buying an eight million dollar school is no easy task, and we had our share of adventures, but thanks to The Calgary Foundation, the Marda Loop Communities Association and residents, City Council and Calgary Arts Development’s board, Calgarians are soon going to benefit from an exciting new multi-disciplinary community hub. Speaking of new partnership models, 2011 saw a fruitful collaboration between Calgary Arts Development and the Calgary Municipal Land Corporation continue as we administered the final full year of a pilot project enabling Calgary artists to utilize the East Village Seafood Market. In 2011, we completed our first year of full-time commitment to Resource Development activities. We were the first municipality outside of Ontario to launch artsVest, a sponsorship training and matching incentive program. And our new partnership with the Calgary Hotel Association will result in increased sector capacity to deliver remarkable experiences in Calgary. November 2011 also saw a significant show of support from City Council. Council responded to Calgary Arts Development’s request to deal with unprecedented demand from new clients representing diverse and emerging organizations through an increase to our annual base funding, to be distributed in 2012 through the New Client Induction Grant Program. In order to continue the trajectory of expanding resources for the sector, we have to be better at telling our collective story of impact. 2011 saw progress as we worked to lay the foundation for the launch of Calgary 2012 as an independent, non-profit organization that will showcase Calgary’s culture on a wider scale than we have ever seen. We also enjoyed new partnerships with private organizations like the seven Poet Laureate Ambassadors. These Ambassadors are enabling us to tell Calgary’s story though poetry with the launch of Calgary’s first Poet Laureate. And we had success bringing more people together to share stories in new ways through our first annual Arts Champions Congress, which brought together 300 Calgarians working for and in the arts every day. Additionally, through an ever-expanding audience at our PechaKucha Night events, we are contributing to a continuing dialogue on the arts, creativity and connecting communities in Calgary and beyond. 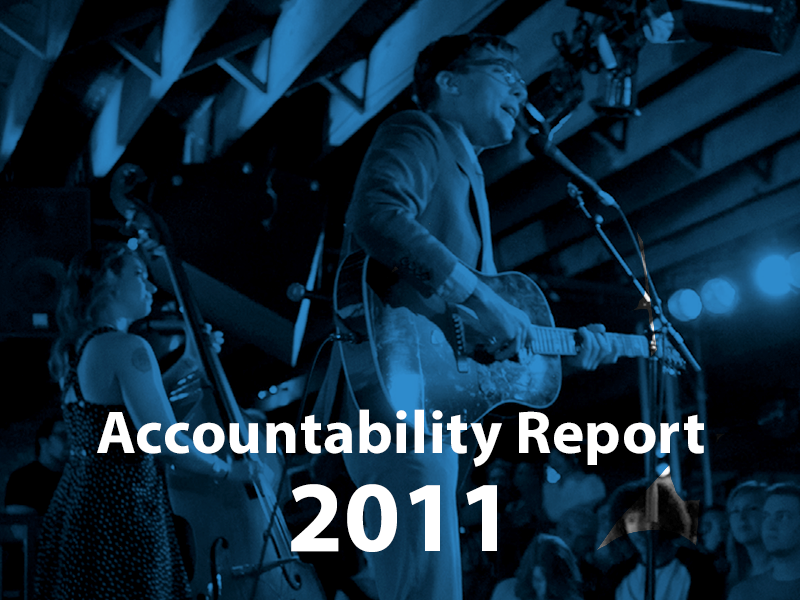 Our 2011 accomplishments are thanks to the tireless efforts of a dedicated staff that cares deeply about their city and the vital role the arts play in our quality of life. Our team evolved this year with secondments to Calgary 2012, the transition of others to cSPACE and the involvement of numerous contractors who lent their talents and passions.